April Holland has done what many attorneys have tried to do but could not: secure, within the labyrinth that is the legal profession, a place that suits her as perfectly as a tailored glove fits the hand of its owner. Many lawyers have entered the myriad passages of the law with a destination in mind but wound up diverted elsewhere. As they took their first steps toward their future, they were swept away by a current that carried them in a different direction – and then they settled in, never to find the way to where they intended to go. The 25th edition of “The Best Lawyers in America,” released Aug. 15, recognizes the 2019 “Lawyer of the Year” recipients in Chattanooga. Attorneys named to “The Best Lawyers in America” were recognized by their peers in the legal industry for their professional excellence in 145 practice areas. Only a handful of supporters milled around in the parking lot of the Farmers Co-op in southwest Rutherford County that morning where Lee spent a few minutes talking to people inside the store before emerging to ride to another town as part of a statewide tour, a precursor to an RV ride he would take later in the Republican primary race. After 18 years of teaching math and science to mostly fourth- and fifth-graders, Gloria Page was ready for something new. Although Page was passionate about math and teaching, she says her profession was becoming about more than imparting knowledge to young minds; it was gradually shifting toward pleasing the powers-that-be that were trying to micromanage the education process. Housing price bubble chatter has increased this summer as market observers attempt to predict the next residential real estate shift. During the Greater Chattanooga Realtors’ Economic Outlook Luncheon on Aug. 15, keynote speaker Lawrence Yun, chief economist for the National Association of Realtors, said Greater Chattanooga’s economy is strong because of low unemployment rates, eight years of new jobs and low interest rates. Are you searching for a new home and struggling to find one you can afford? You might be surprised to learn one of the main reasons for today’s increasing home costs: the price of many types of framing lumber used to construct new homes has skyrocketed by more than 40 percent since the beginning of last year. “Crazy Rich Asians” is a bubbly, frothy, fizzy piece of entertainment, a romantic comedy that opens a window to a culture that will be new to many viewers. It was to me, and I was captivated. I’ve seen movies featuring Asian characters before, and watched films set in Asia. But I’d never seen an all-Asian cast in a movie that takes place mostly in an Asian country. Under the law, government records are open to the public unless they are “exempted” by state law. Some common reasons for exemptions are to protect private information of citizens, such as driver’s license numbers, or sensitive information, such as some information related to juveniles in criminal court proceedings. If you are, or will be, a caregiver for elderly parents or another close family member living with Alzheimer’s disease, you may experience some emotional stress. But you also need to be aware of the financial issues involved and what actions you can take to help address them. Hamilton County Trustee Bill Hullander and Airbnb have negotiated a tax agreement that authorizes the company to collect the local occupancy tax on behalf of its Hamilton County hosts and remit the revenue directly to the county. With the tax agreement in place, Chattanooga and Hamilton County will benefit from people visiting the region and staying longer through home sharing. Effective Sept. 1, Airbnb will automatically collect and remit the hotel/motel occupancy tax (4 percent) for taxable bookings. The Urban League of Greater Chattanooga needs volunteers to help prepare income tax returns through its Volunteer Income Tax Assistance program. VITA provides free tax assistance to individuals and families who earn an annual income of $56,000 or less. 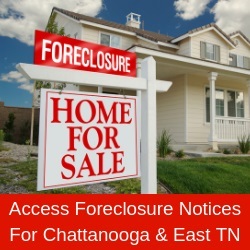 Legal Aid of East Tennessee will host a free housing law clinic at the Chattanooga Family Justice Center, 5705 Uptain Road – near Eastgate Mall, 9:30 a.m.-12:30 p.m. on Friday, Aug. 24. The Jewish Federation of Greater Chattanooga invites the Chattanooga community to its 11th annual First Amendment Dinner on Tuesday, August 28, 6 p.m. at the Jewish Cultural Center, 5461 North Terrace Road. The keynote speaker will be former Congressman Zach Wamp, who will speak on “Politics and the First Amendment.” The cost for this event is $14. RSVP to 493-0270 or rsvp@jewishchattanooga.com. If you can relate, there’s good news.